Still not entirely sure what Occupy Central is all about? Find out more here. 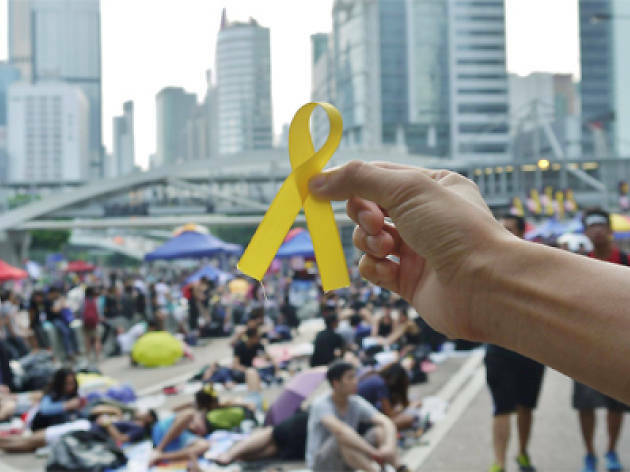 Proposed in January last year by Reverend Chu Yiu-ming and academics Benny Tai and Chan Kin-man, Occupy Central with Love and Peace (its full name) is a civil disobedience movement that aims to mobilise Hong Kong citizens to peacefully obstruct key roads in Central. This has now spread to several other areas, including Mong Kok, Admiralty and Causeway Bay. 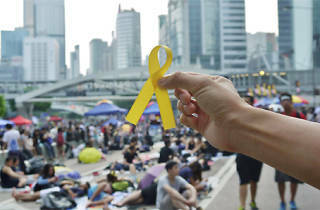 OCLP aims to achieve true universal suffrage for Hong Kong by 2017. Currently, Beijing says 'one man, one vote' will be implemented for the five million eligible voters in our city by that year – but candidates for the role of Chief Executive will have to be pre-approved by the Central Government. OCLP wants there to be no pre-selection of candidates. The organisers of OCLP have long promised that if demands for universal suffrage were not met they would rally citizens on National Day (October 1), in order to cause disruption. A week-long protest outside the LegCo complex in Tamar, organised by student groups Scholarism and the Federation of Students, prompted OCLP to begin its action slightly earlier on September 27. The government has not granted permission for the protest, meaning it is technically illegal. However, the sheer number of protestors means it's difficult for the police to act. There has been no official count. Estimates have ranged from several tens of thousands to one million. The Hong Kong administration has stated they are 'resolutely' against the occupation. Chief Executive CY Leung has said that having a one person one vote election for the first time in 2017 is better than a 'stalemate'. The decision about Hong Kong's 2017 election was made by the NPCSC (Standing Committee of the National People's Congress) and is legally binding, so would be hard to change. But the mood on the street is buoyant and, so far, there seems to be no sign of the numbers of protestors waning. When the police used tear gas and pepper spray on the first night of the occupation, there was a huge backlash and the protest hit international headlines. It therefore remains to be seen what action, if any, the police will now take. For more information on Occupy Central with Love and Peace, visit oclp.hk [Chinese] or oclphkenglish.wordpress.com [English].Images by Time Out Hong Kong unless otherwise stated.